Jul. 06, 2018, 11:55 a.m.
Leon Ford has had a political awakening. It was prompted by the fatal police shooting of 17-year-old Antwon Rose II on June 19, an event that came roughly six years after Ford’s own life-changing encounter with a policeman’s gun. 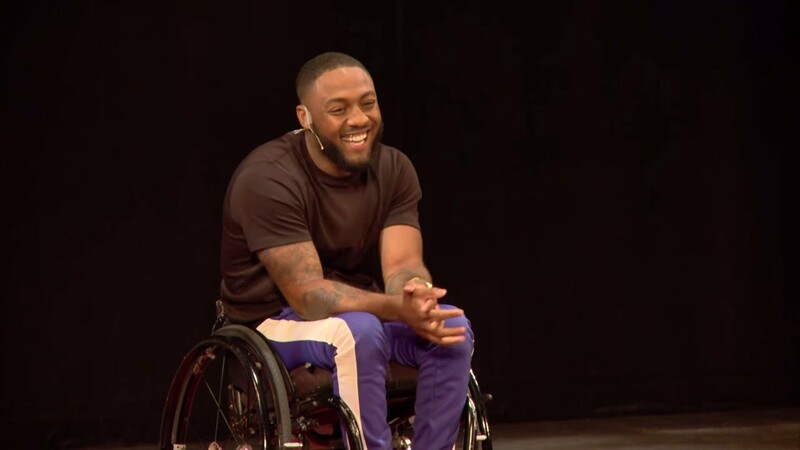 As the 25-year-old sat in his wheelchair on the steps of the Allegheny County Courthouse Downtown last month for one of many charged protests seen on the heels of Rose’s death, Ford said he decided that his years as an activist and advocate for police reform required more. “I love the energy of the protesters, but I also know from my own lived experience that the energy dies down after awhile,” he told The Incline by phone, referring to the demonstrations seen after he was shot by a City of Pittsburgh police officer and paralyzed in November of 2012. Protesters demanding justice for Antwon Rose II, a 17-year-old who was fatally shot by an East Pittsburgh police officer on June 19, rally in Downtown Pittsburgh. The solution, Ford decided, involves the creation of his own political action committee, a means of funding candidates with platforms he sees as conducive to the changes he’s spent years pursuing as a high-profile survivor of a police shooting. 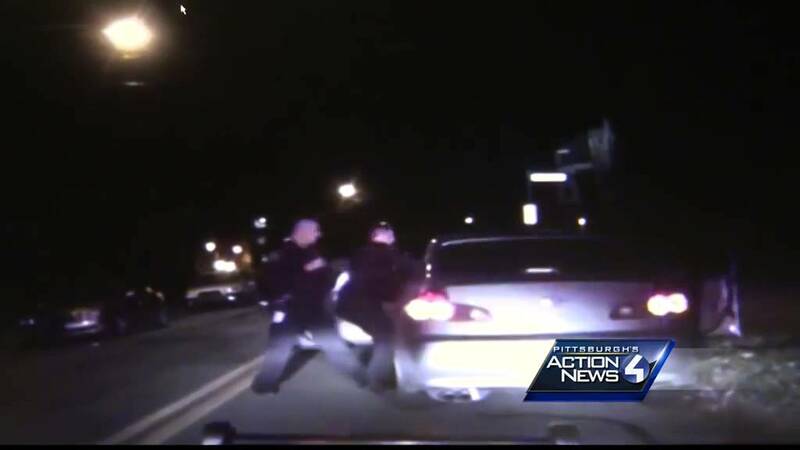 Ford, who’s shared his story with audiences and media outlets nationwide, was 19 and unarmed when he was shot five times by a Pittsburgh police officer at point-blank range during a traffic stop. He sued and reached a $5.5 million settlement with the City of Pittsburgh earlier this year. Ford said he plans to use some of his own money to get his PAC off the ground — “just to show people I’m serious.” He said the money he’ll invest will come from speaking engagements and the proceeds from his new book, not necessarily from the settlement. “I also have an extensive network, locally and nationally, of business folks and tech folks who support me and believe in justice and I plan to pull those individuals together,” he explained. The paperwork for Ford’s PAC is still being drafted and a PAC name has yet to be chosen — Journey to Justice is the working title. He hopes to see the fund operational within a few weeks, just in time for the midterms. Asked about the type of candidates his PAC will favor, Ford points to Democrats like Sara Innamorato, Summer Lee and Alexandria Ocasio-Cortez as prime examples. All three were endorsed by the Democratic Socialists of America, and while Ford said he has no formal affiliation with the DSA, he also said he finds himself aligned with DSA-backed candidates on key policy points. State Rep. candidates Sarah Innamorato and Summer Lee. The dynamic of using conventional politics to advocate for unconventional solutions to issues like criminal justice reform has rankled groups like Black Lives Matter before, with portions of that movement rejecting anything resembling concessionary politics or any involvement with a system they seek to overhaul. But Ford sees no such dilemma. Ford said he gravitates toward the less-centrist elements of the Democratic Party, where farther left candidates like Innamorato, Lee and Ocasio-Cortez have expressed a greater willingness to confront police accountability and reform issues than many of their peers. In May’s Pennsylvania primary, Innamorato and Lee won in upsets against longtime Democratic incumbents Dom and Paul Costa, respectively, for Pittsburgh-area seats in Pennsylvania’s House of Representatives. Both women are unopposed on the November general election ballot and both managed to beat their opponents using grassroots campaigns, populist overtones and by seizing on a bipartisan skepticism of entrenched establishment types. Ocasio-Cortez pulled off a similar upset in a New York race for U.S. Congress just last week. “They have sparked something in Pittsburgh that has changed the culture in Pittsburgh politically for decades,” Ford said of Lee and Innamorato. Ford’s foray into politics is set against this backdrop. It also comes at a significant time not just for the Democratic Party but for the Pittsburgh region as well. And while Ford isn’t supporting any Republican candidates at the moment, he also wouldn’t rule it out. At the local level, Ford has already lent his support to the campaign of Turahn Jenkins, the former public defender who’s now looking to oust Allegheny County District Attorney Stephen A. Zappala Jr., the longtime incumbent who’s become the focus of renewed scrutiny following the death of Antwon Rose II. Michael Rosfeld, the East Pittsburgh police officer who fatally shot Antwon Rose, has been charged with criminal homicide and will be prosecuted by Zappala. A preliminary hearing in the case has been rescheduled for July 27. In his Philly.com piece, Ford says his PAC was devised as a vehicle with which to encourage African Americans to vote and to “help fund a candidate to run against Zappala.” He insists the focus is less singular now but acknowledges Zappala’s upcoming re-election, coupled with Rose’s death, as the catalyst for the PAC’s creation. “It was definitely the Antwon Rose incident that prompted this,” he explained. Ford, like many of the protesters mobilized in the aftermath of Rose’s death, said he doesn’t think Zappala has been aggressive enough in pursuing charges against officers involved in on-duty shootings here. Zappala’s office has said they pursue charges whenever and wherever the evidence supports it. Zappala and Ford also have a history. Ford said he was still in the ICU after being shot by Officer David Derbish when he was charged with a series of criminal counts, including aggravated assault on an officer, related to the police encounter that left him with paraplegia. After a jury acquitted Ford of the aggravated assault charge and deadlocked on other counts, Ford said it took Zappala more than a year to decide he would not retry him for the remaining misdemeanors. “I was charged two days after being shot,” Ford said by phone, adding that none of the officers involved in his shooting were ever criminally charged. Speaking at Jenkins’ campaign launch event in the Hill District earlier this week, Ford stressed the need for a new perspective leading the county’s top law enforcement office, and he stressed the need to turn the outrage over Rose’s death into lasting change. In speaking with The Incline on Thursday, Ford identified Jenkins as a future recipient of money from his PAC. “It’s a beauty to support him financially because I know what we’re up against,” Ford added. If elected, Jenkins would be the first African American District Attorney in Allegheny County history. The political realizations Ford said he’s experienced since Rose’s death boil down to this: a need for allies inside the system if they ever hope to reform it. With his PAC taking shape, Ford now says he has his answer. Turahn Jenkins, Michael Rosfeld, Antwon Rose II, Leon Ford, Democratic Socialists of America, Stephen A. Zappala Jr.